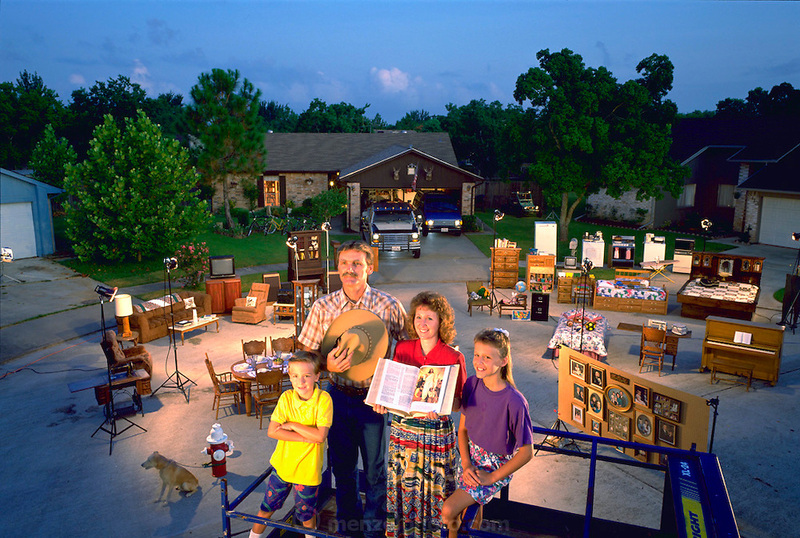 The Skeen family of Pearland, Texas, outside their home with all of their possessions. Published in Material World: A Global Family Portrait, pages 136-137. Ricky Skeen and his wife Pattie Skeen, with their two children, Michael and Julie. From Peter Menzel's Material World Project that showed 30 statistically average families in 30 countries with all of their possessions.